Garth Brooks was on-site to celebrate the grand opening of the newly renovated and expanded Child Life Zone. Funded through the Teammates for Kids foundation, which Brooks co-founded in 1999, the Zone provides a fun, safe and procedure-free environment for Texas Children’s inpatient population and their families. Texas Children’s Child Life Zone originally opened in 2001 and now features a completely renovated and expanded play space. The Zone offers a variety of video gaming choices thanks to the new Microsoft Media Wall and Surface Pro tablets. Patients can challenge their friends to a game of pool, air hockey or race car driving on the Zone’s arcade games. An expanded kitchen offers unique programming for patients and families to learn more about healthy lifestyles while cooking with the hospital’s chef. When the kitchen is “closed” the 24-foot kitchen counter doubles as an arts and craft bar. The Zone also includes an expanded production studio which offers patients the opportunity to explore and create music as a part of the hospital’s music therapy program. Kids can go “on air” each week as Radio Lollipop broadcasts their radio program throughout the hospital. With the new closed-circuit television system, patients on isolation will now be able to see what’s happening in the Zone and participate in live shows being broadcast from the studio. The Zone, located in the hospital’s West Tower and adjacent to other support services, is available to patients ages 6 and up and their families. The focus of the Zone is as much on the family, in particular siblings of patients who can often feel overlooked, as it is on the patients themselves who greatly benefit from the therapeutic play the Zone provides. More than 100 patients and their families attended the grand opening event and were given the chance to meet Brooks. Representatives from Teammates for Kids and Microsoft were on hand to show families the activities and resources available at the Zone. Brooks chatted with patients and families, signed autographs and posed for pictures. “Kids are what it is all about for me. They are the greatest gift God has ever invented and they should be happy,” said Brooks. Have you ever wondered if you have time to cross one more task off your to-do list before hopping on the shuttle? Better yet, have you debated whether you even have time to make the bus? Answers to both of these questions and other shuttle-related quandaries now can be found online via your desktop or smartphone. All six new Texas Children’s shuttles that hit the road June 29 are equipped with GPS technology, allowing riders to connect to an Internet link that will tell them where a bus is, when it’s going to arrive and how long it will be until the next stop. You can access this information on your desktop here and on your smartphone here. In addition to enhancing your riding experience, Director of Supply Chain Rick McFee said the GPS technology will give authorities the opportunity to monitor the shuttles’ movements and to adjust accordingly. As for now, however, all routes will stay the same. A comprehensive security system that will keep employees safe and will record how many people get on and off the shuttle. Video capabilities will give Texas Children’s another avenue to share important information. A voice announcement system will keep riders up to date about where the shuttle is and where it’s headed. USB ports will be available for riders who need to charge their phone or other electronic devices. The first thing people notice about the new shuttles is the outside of them, McFee said. All of the shuttles are painted in a bright, bold color and have a graphic design on the side. The designs are of either clouds, fish, flowers or blades of grass. A not-so-obvious feature the buses have is an environmentally-friendly fueling system. Instead of using diesel, the new shuttles are be fueled by propane. Switching to this much cleaner-burning gas will reduce our carbon footprint by 70 percent and make Texas Children’s Hospital the first hospital in the Medical Center to offer green-friendly shuttle service. Six additional new buses will hit the road later this summer. That old adage certainly rings true for Dr. Susan Blaney, deputy director of Texas Children’s Cancer Center and executive vice chair of Research for Baylor College of Medicine Department of Pediatrics. While advancing pediatric cancer research remains one of her top priorities, Blaney has worked passionately to ensure researchers have the tools to advance their scientific investigations – all in the hopes of putting more childhood diseases on the curable or preventable list. Seven years ago, Blaney garnered the support of the hospital’s section chiefs and the Chair of Department of Pediatrics, the late Dr. Ralph D. Feigin, who approved her proposal to establish the Small Animal Imaging Facility (SAIF). Blaney credits the SAIF as an important contribution to the success of translational research efforts at Texas Children’s Hospital. As the primary users of the SAIF, Texas Children’s and Baylor researchers rely on the facility’s resources to obtain preliminary data for grant proposals, with the goal of publishing their groundbreaking research in premier scientific journals and ultimately to improve the outcome for disease of childhood. While there are multiple animal imaging facilities throughout the Texas Medical Center, many outside researchers use our facility to launch their pilot projects in collaboration with Texas Children’s faculty. These include principal investigators from the Texas Heart Institute, Rice University, the University of Texas Medical School at Houston, MD Anderson Cancer Center, the University of Houston, Houston Methodist Hospital and the University of Tennessee. To enhance the power of translational research, the SAIF also helps investigators conduct longitudinal studies in the same live animal to observe different stages of disease progression and analyze what happens when potential therapeutic or diagnostic interventions are introduced. In May, the SAIF hosted its first imaging symposium highlighting compelling research findings that would not have been possible without the support of Texas Children’s small animal imaging technologies. With approximately 100 attendees, the symposium also provided a forum to create new research ideas and initiate new collaborations with other investigators that will lead to higher levels of innovative research. Without question, Blaney’s hard work has certainly paid off. With her vision fulfilled for the SAIF, the research vision of others has been enabled. For example, a Texas Children’s principal investigator – who used MRI data from the SAIF to help drive his National Institutes of Health R01 grant application – recently received a score that ranked in the top one percent. Additionally, a junior Texas Children’s principal investigator who used imaging data from the SAIF in a grant application was recently awarded his very first foundation grant that will help launch his career. Last week, Chief Nursing Officer Mary Jo Andre met with a room full of nursing leaders at the monthly Nursing Congress meeting to outline the framework of an aggressive 100-day plan for nursing. Andre said she and other leaders are examining all nursing feedback from the past several months to determine where to prioritize efforts to improve the overall work environment/satisfaction of the care team. She shared her vision to modify the patient care manager role to allow more time for leadership and management in support of care at the bedside. 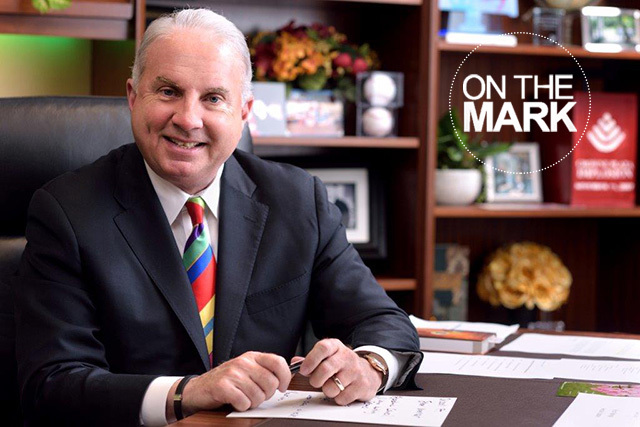 Andre encouraged ideas for cultivating staff satisfaction in support of nursing retention with a renewed commitment to a healthy work environment and a culture of transparency. In addition, Andre emphasized the need for all nurses to stay at Texas Children’s and help with building and implementing this plan for change. 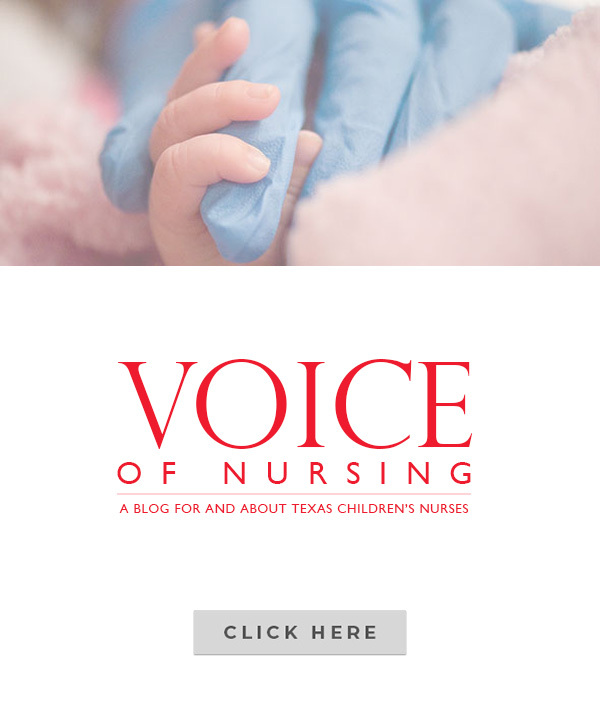 She explained that nursing turnover at Texas Children’s, while in line with the national average, presents particular challenges as the organization is trying to significantly grow the nursing workforce. Andre asked nursing leaders to take immediate action to encourage and retain nurses on their teams and said she hopes many of the changes proposed in the 100-day plan will improve nursing satisfaction and retention as well as ensure continued excellence in quality and outcomes. All staff nurses are asked to complete this short survey by Friday, July 3 to help Andre and her leadership team as they strategize and set a framework for next steps. 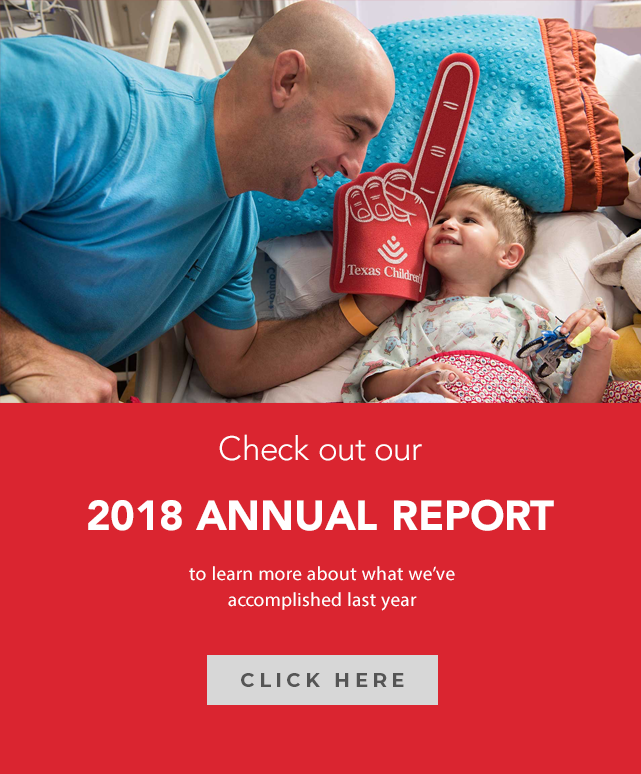 As world leaders in neuroscience research, scientists from the Jan and Dan Duncan Neurological Research Institute (NRI) and the Cain Foundation Labs at Texas Children’s continue to pioneer innovative treatments to improve the quality of life for children with devastating neurological diseases. From unlocking the molecular mysteries of epileptic seizures to providing novel insights on how to repair brain injuries in newborns, NRI researchers are helping to revolutionize the care and treatment for our patients at Texas Children’s Neuroscience Center and patients around the world. In her blog, Texas Children’s scientific research writer Dr. Rajalaxmi Natarajan highlights some of the 2015 groundbreaking discoveries from the NRI labs of Drs. Benjamin Deneen, Hugo Bellen, Mirjana Malatic-Savatic and Anne Anderson. Everybody likes getting a new vehicle. The whole experience – from the new-car smell and shiny gadgets to the sleek paint job and smooth ride – is exciting. On Monday, June 29, the entire Texas Children’s family will get to have such an experience when six of our 12 new shuttles are rolled out sporting colorful designs and several innovative features. The first thing people will notice about the new shuttles is the outside of them, McFee said. All 12 will be bright, bold colors and graphics with designs of clouds, fish, flowers or blades of grass. A not-so-obvious feature the buses will have is an environmentally-friendly fueling system. Instead of using diesel, all 12 shuttles will be fueled by propane. Switching to this much cleaner-burning gas will reduce our carbon footprint by 70 percent and make Texas Children’s Hospital the first hospital in the Medical Center to offer completely green-friendly shuttle service. On-board video capabilities will give Texas Children’s another avenue to share important information. USB charging ports will be available at each seat for riders who need to charge their phone or other electronic devices. All buses will be equipped with GPS technology, allowing riders to connect to an Internet link that will tell them where a bus is, when it’s going to arrive and how long it will be until the next stop. McFee said the GPS technology will give Texas Children’s management the opportunity to monitor the shuttles’ movements and to adjust accordingly based on ridership activity. As for now, however, all routes will stay the same. The remaining six larger shuttles in the fleet will be on the road in late summer. Chief Safety Officer Dr. Joan Shook knows firsthand just how stressful it can be to work in a health care environment as demanding and complex as ours. For the past 20 plus years, she has tended to patients with various types of health conditions in the Emergency Center. Some of those patients got well and went on to live productive lives. Others weren’t so lucky. The impact of the negative events often leads to stress, fatigue and sometimes depression and blame for all involved in the situation, Shook said. The most profound example of such emotions happened years ago when Shook was a section head in the EC and a therapist came to talk to her group about workplace stress. To help employees cope with adverse patient events such as errors, unanticipated outcomes or even death, Texas Children’s recently launched a peer-to-peer support team that can be tapped 24 hours a day, seven days a week. The Texas Children’s Tandem Support Team provides access to more than 100 trained peer volunteers who are willing and ready to provide reassurance, guidance and overall support. Director of Employee Health & Wellness Jill Fragoso said the team is comprised of clinical and nonclinical employees from across the entire Texas Children’s system and that all members have been trained by the leading experts in the field of workplace stress in a health care setting. Staff Chaplain Kristen Springmeyer is one of the 100 trained members of the Tandem Support Team and said she volunteered because she’s seen the need for such a program and believes it will be transformative. She said the team will give our health care workers the chance to decompress with someone they can trust and with someone who understands where they are coming from. In addition, the team will be able to point employees in need to resources such as the Employee Assistance Program, which provides confidential, professional services such as counseling, stress management and grief support. Find a team member at your location by looking for their special badge slip or lanyard.